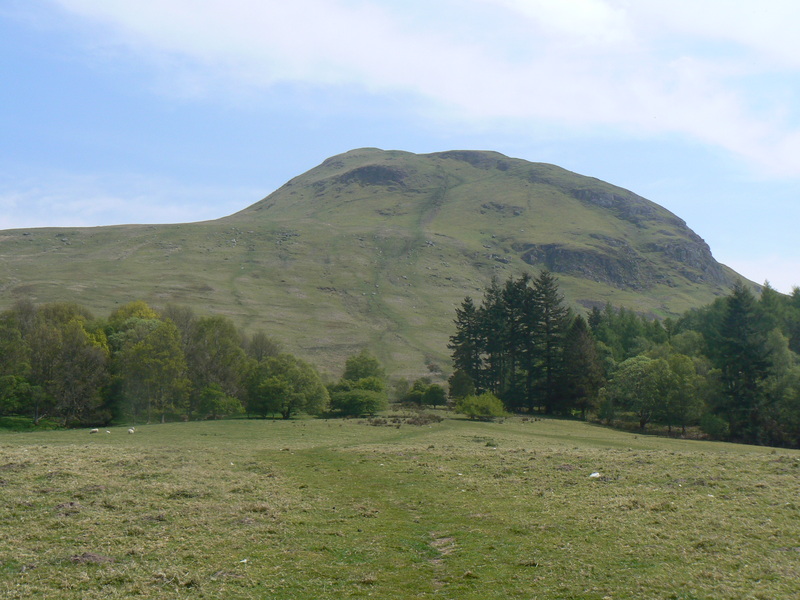 Those that have walked the West Highland Way will be familiar with the distinctive shape of Dumgoyne, the first landmark on the journey North, sitting just behind the Glengoyne Distillery and slightly detached from the Campsie Fells. 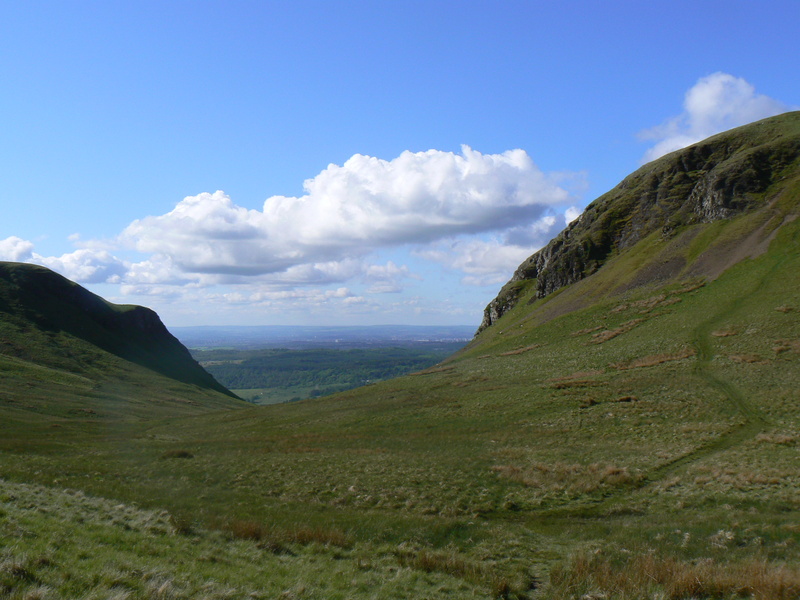 The “Campsies” as they are known locally are a range of extinct volcanos that sit just North of Glasgow, Dumgoyne situated on the very Western end of the hills. 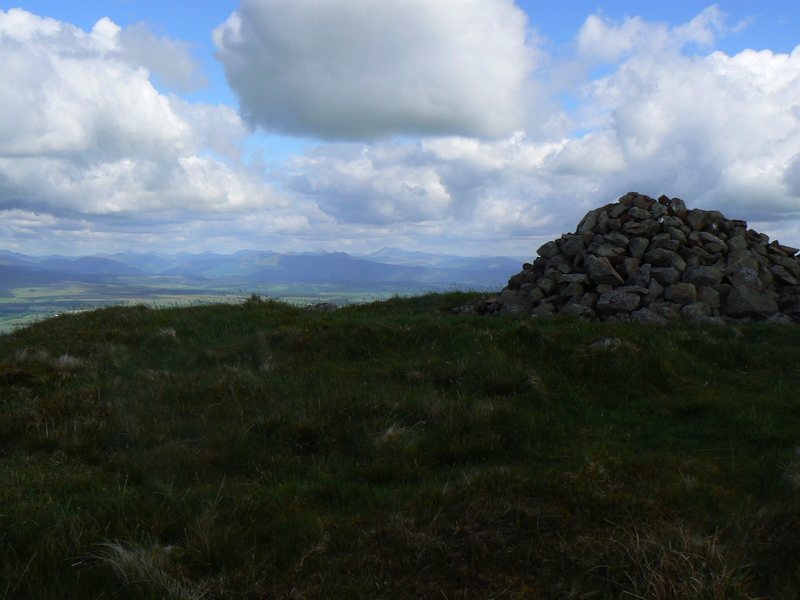 The Campsies are very non-descript hills. Peat Hags (sounds like the name of an old Scottish Witch….a “Peat Hag”..hmmm), sphagnum moss and generally (relatively) unexciting scenery abound once you get into the guts of the hills, although there are one or two notable exceptions. 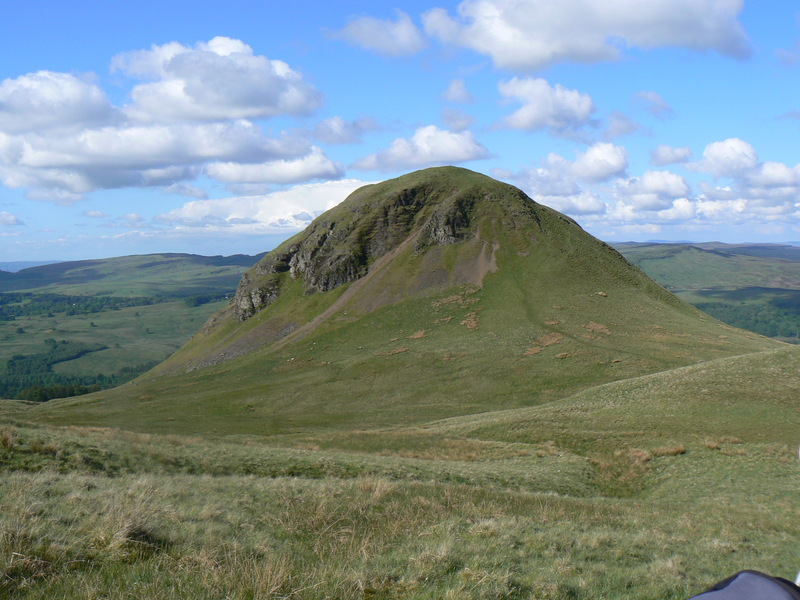 Dumgoyne, and the walk to Earls Seat is just one of these exceptions. The hill itself, while not particularly big in the grand scheme of things, is an utter pig to walk up. It is just a large lump of rock, a volcanic plug, and whichever way you go up it leads to a steep, arduous (and thankfully) relatively short climb. The popular route is frequented so often that it has started to resemble an easy scramble, although there is a slightly more sensible option that eventually contours round the hill, rather than battering straight up a near vertical slope (the last bit is exagerated….slightly). I may not be selling this very well so far, but bear with me. 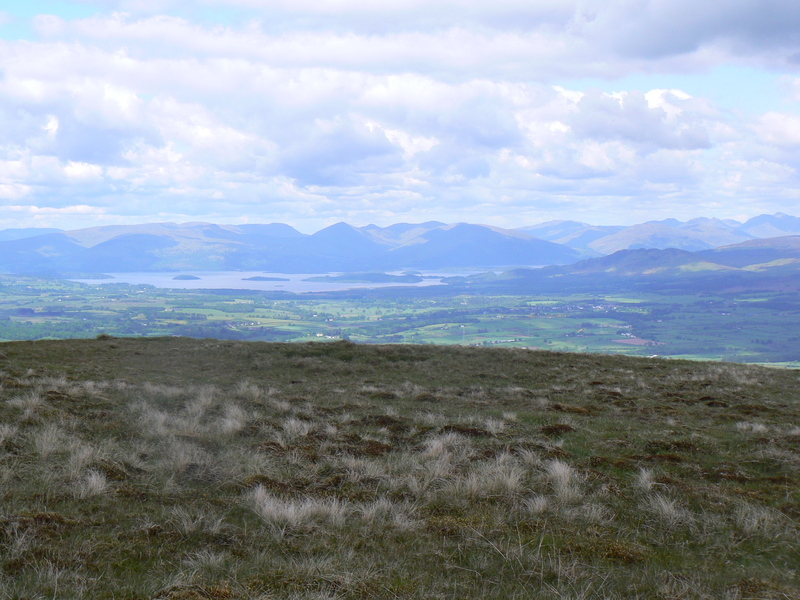 Even as you begin to climb the views are superb, opening up to Loch Lomond and the Trossachs to the north and tantalising glimpses over Glasgow to the South. Once at the top (and the spinning stars, purple haze and temporary oxygen deprivation has rescinded) you are treated to a wonderful all round vista. On a clear day, the mountains of Arran can be seen to the West. Tinto, at the Northern End of the Southern Uplands stands clear and alone with its distinctive shape, and to the North and East, fine views of Loch Lomond, Ben Lomond and a unique perspective of the Southern Highlands of Scotland. So unique, that without a map I was struggling to work out which peaks were which. Needless to say though, the views are superb. If walking the West Highland Way in good weather, it really is worth while making time to get to the top to give yourself a sneak preview of what is to come. 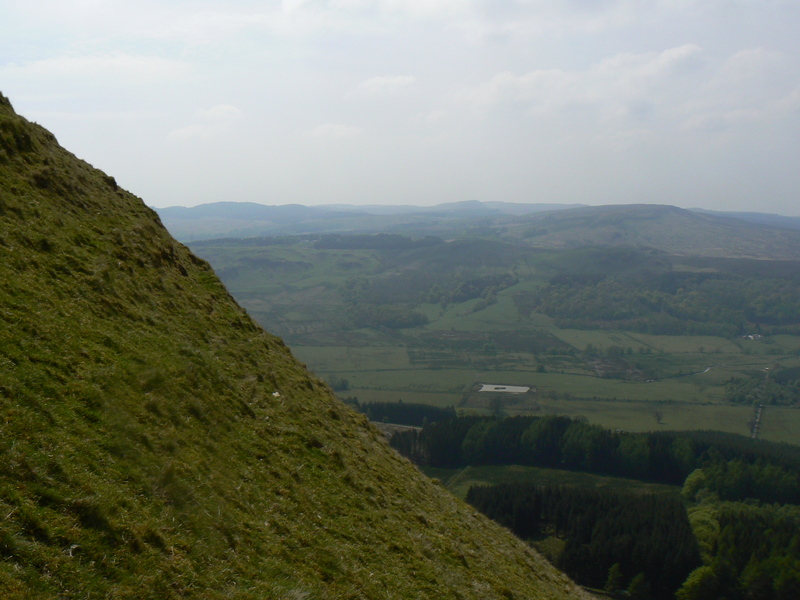 The way off the back is just as steep and scrambly as the ascent, and as the hill is distinctly separate from the rest of the Campsies there is no choice other than rapidly descend over 150ft before breathing a (very big) sigh of relief. Coming down off Dumgoyne there is a clear and well used track heading towards Earls Seat, a Marilyn at less that 2000ft. 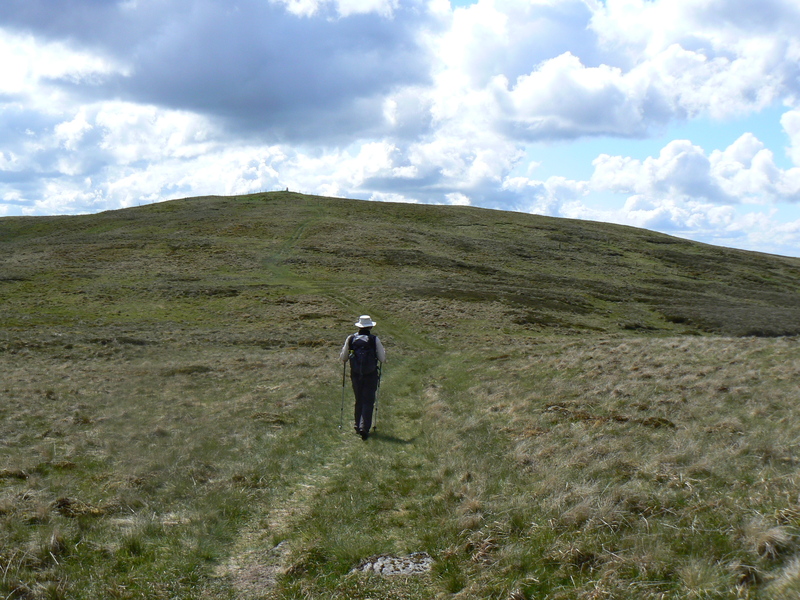 The path is easy to follow and gradually rises on to Garloch Hill and turns into a delightful and undulating ridge walk. 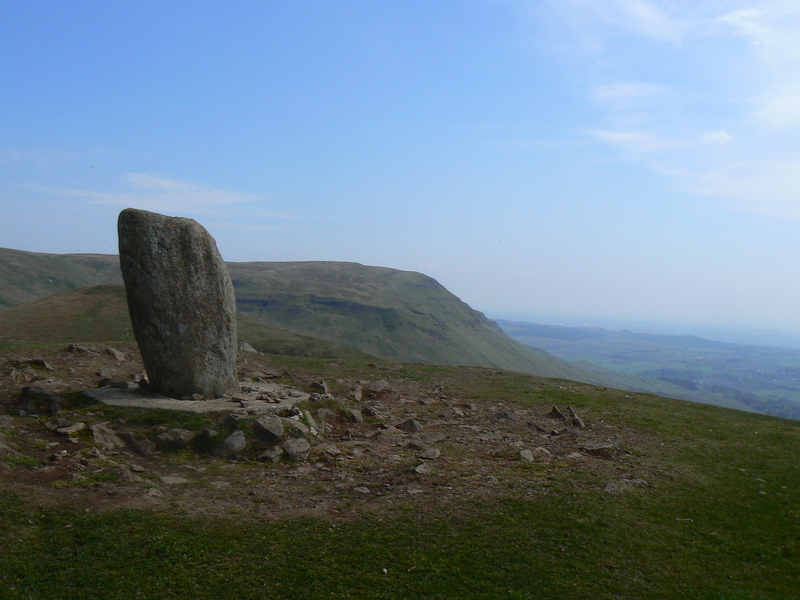 The route progresses from “the Garlochs”, over Bell Craig, and up onto the Ballagan Tops before turning South East to rise gently to the trig point that marks Earls Seat. On the way up, you get a good indication of the bleak and boggy nature of the Campsies. Away from the ridge the lower ground is covered in, bog cotton, sphagnum moss and peat hags (what there’s more than one witch?). Large pools of standing water abound and it is wise not to stray too far onto the lower ground, risking getting wet feet at best, and stuck in a bog at worst. Once again though, the views from Earls Seat are well worth the effort, and from here there is a spectacular view over Glasgow. There is also the added bonus of being able to watch aircraft as they land at Glasgow Airport, the Campsies being directly under the preferred flight path. We returned by the same route to the car, which was parked in a layby close to the Distillery. Steep climb to start, but very enjoyable ridgewalk and fabulous all round views. A must for anyone living close to Glasgow. Recommended as an excursion off the West Highland Way. I am walking from Edinburgh to London, supporting TWOWEEKS International Volunteer Network.